Trump Accuses Putin, Russia, Iran of Enabling Atrocities in Syria - Integration Through Media ....! (VOA): U.S. President Donald Trump has blamed his Russian counterpart Vladimir Putin and Russia, as well Iran, for enabling an alleged poisonous attack in Syria late Saturday. 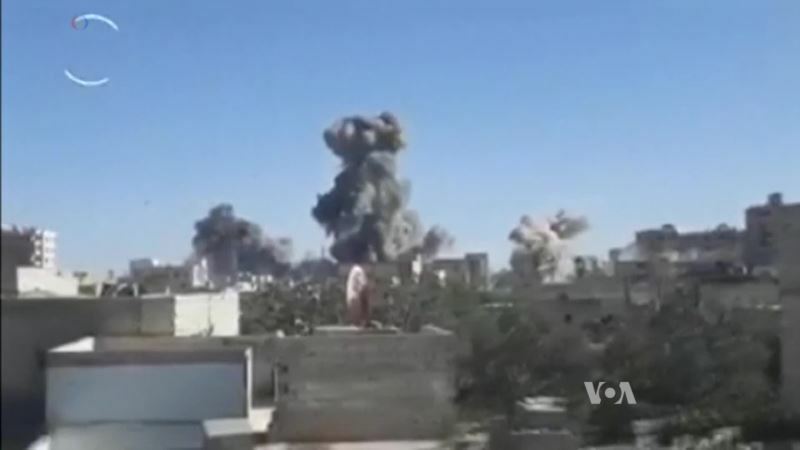 Syrian activists and medical sources say at least 40 people have died. The suspected chlorine attack came during a government offensive to retake rebel-held areas near Damascus after the collapse of a truce with the Army of Islam rebel group. VOA's Zlatica Hoke has more.